Streaming music service Rdio, currently available in the US and Canada, has been busy expanding its availability of late. Following its recent launch on Roku’s range of set-top boxes, today sees the launch of an app for Mac OSX. While Rdio has previously been available to Mac users as a browser-based app, the new release is OSX native with some nice integrations. Keyboard media keys can control playback, while the app will read your iTunes library directly to populate your collection if you’re just starting out. 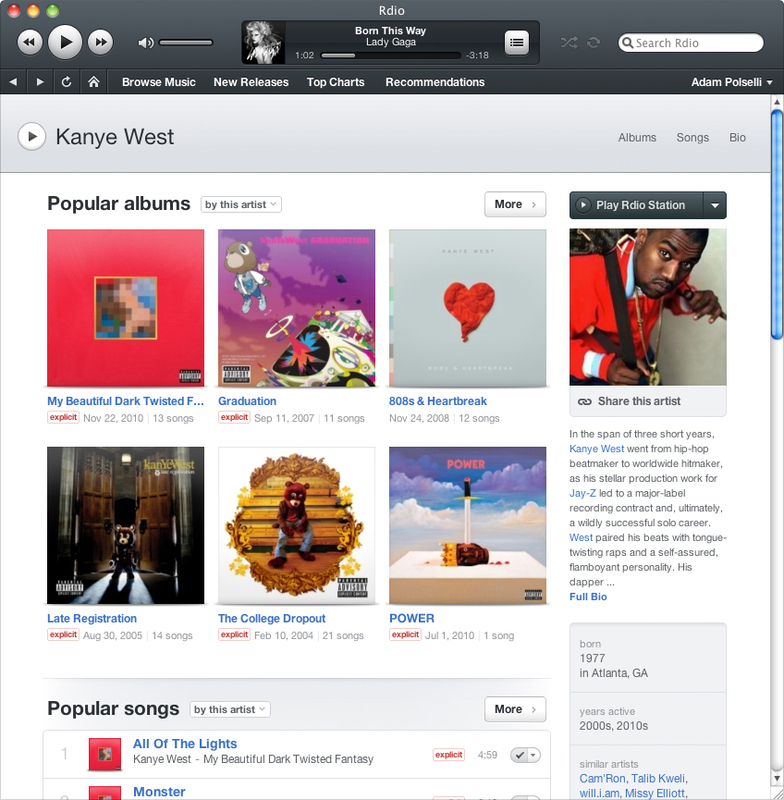 The app, which has quite a familiar ‘iTunes-y’ look about it, also supports features that regular users will find familiar, like New Releases, Top Charts and Recommendations. Additionally, there’s the ability to play and manage MP3s purchased and downloaded from Rdio. Interestingly, the app isn’t being made available in the Mac App Store yet. Instead, it’s a free download from Rdio’s website. New users will get a 7-day trial and can then continue using the app via the company’s Unlimited subscription at $9.99 per month or opt for web-only access for $4.99 per month. UPDATE: If you’re having trouble finding the app on Rdio’s website, here’s a direct download link. Read next: Socialcam launches. We dig in to see if it's worth all of the hype.